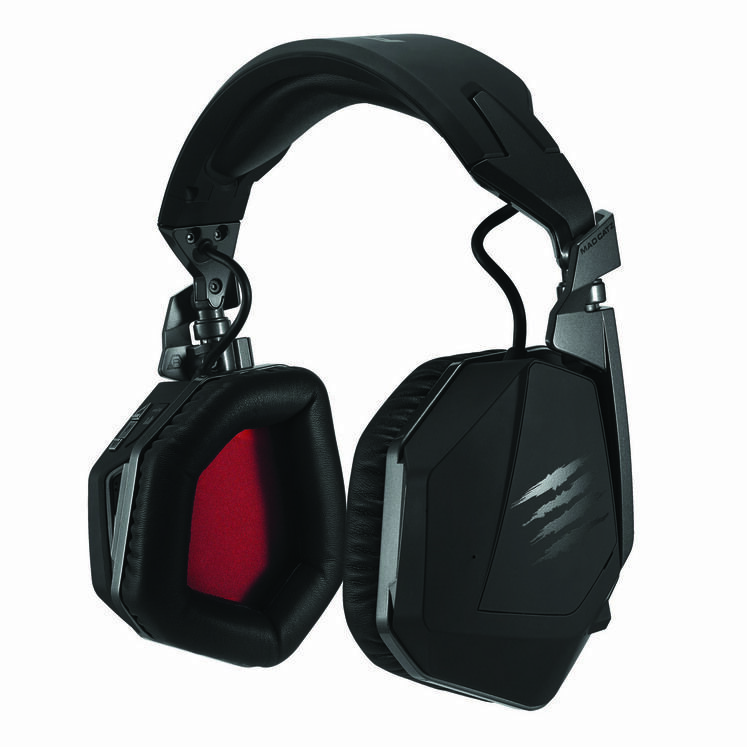 We’ve reviewed a lot of Mad Catz products on Game Watcher - and Strategy Informer before it - over the years. It’s a company we’ve seen transform from being famous for being the manufacturer of the N64 controller you gave to the friend you didn’t really like, to creator of some really high-quality and often innovative gaming peripherals. It’s the latter reputation they appear keen to stick too, if their showing at this month’s Consumer Electronics Show - the first glimpse of its 2015 products - is anything to go by. Most exciting to me is the announcement of the R.A.T. 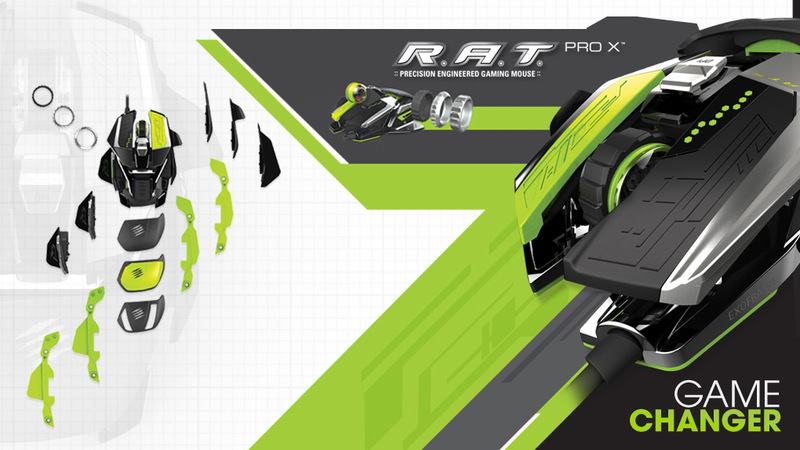 ProX mouse, the latest evolution in the already-impressive RAT line-up of PC input devices. I’ve been using this range since it first made its début, and I just recently reviewed the R.A.T. TE, the most recent release in the range, a model slightly stripped back from some of its feature-laden predecessors. Set to launch in the Spring, the Prox model of the mouse has been conceived to be “the most advanced gaming mouse in the world,” according to Mad Catz. 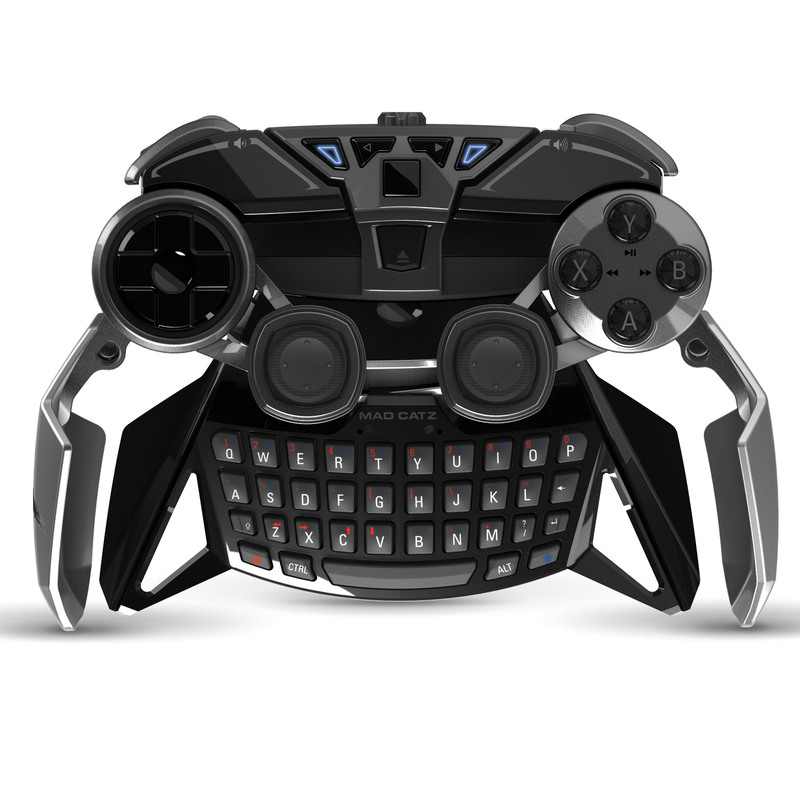 It features a chassis crafted from magnesium alloy designed for a balance between weight and strength and a unique new scroll wheel that allows players to choose exactly how much resistance they want the wheel to give or even swap it out entirely. The mouse also retains the transforming, hand-fitting design concepts that made the original RAT models so popular. This time it’s not just cosmetic - even the profile and macro-storing mouse sensor can be swapped out, meaning this could potentially come to be more of a platform than an accessory - something you build on with use. While the RAT Prox makes the recently-reviewed RAT TE feel like it might be on the cusp of no longer being so impressive, in other areas the ‘Tournament Edition’ brand is getting some love. Cribbed from the very successful range of Fight Sticks for titles like Street Fighter and Killer Instinct, the Tournament Edition branding has now come to the PC in force - first with the mouse we recently reviewed, and now with a couple of new tournament-grade headsets. The FREQ TE and the FREQ 9 TE are both headsets that offer a design that’s been designed in conjunction with eSports figures and with PC-based pro-gaming in mind, positioned at slightly different price points depending on your budget. The FREQ 9 is the more advanced model, packing in compatibility with game consoles and bluetooth-based connection to mobile and smart devices in addition to the typical PC hooks. It also comes with AM3D technology, designed to simulate 3D sound no matter the device plugged in. Both FREQ TE headsets and a new GLIDE TE gaming mouse surface are all shipping now as of CES. For those interested in more than desktop-based gaming, Mad Catz had two more surprises for CES in the form of the Tritton Swarm mobile headset, a new bluetooth-based headset that can connect to two different devices at once and features similar AM3D technology to the FREQ 9. 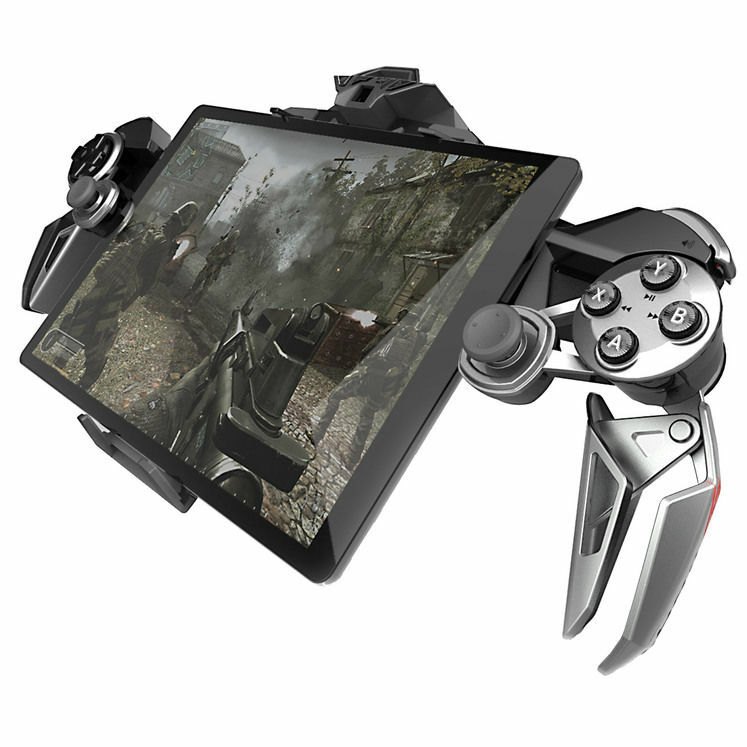 Most interesting of all, however, is the new LYNX hybrid controller - a new type of game pad that can warp and morph not only to fit a design that suits your hands, but also to fit whatever device you’re playing on, be that a tablet or something else entirely. Compatible with everything from your PC for Steam Big Picture mode goodness to mobiles and phones, the aim is to make a pad that is the best of all worlds. It features a mouse sensor pad and full media controls in addition to the standard controller inputs, and seems to be rather impressive. Mad Catz has had a great deal of success with their past transforming devices, including the RAT mice and STRIKE keyboards - so this one leaves us really curious. Finally, in news that’ll likely please our German readers more than anyone else, Mad Catz used CES to announce a partnership with GIANTS Software, developers of Farming Simulator, to make specific Farming Simulator products for PC. For too long farming simulator players have had to look at the complex, plane-accurate cockpit accessories for PC and drool - but Mad Catz is set to ensure they can now have an accurate recreation for their game, too. There’ll be more on these products later in the year before their Holiday 2015 launch. As always with hardware, it’s difficult to know exactly how good any of this will be without quite literally getting our hands on them - and as they get closer to launch, we will. Keep your eyes peeled for further updates and impressions!